This routine generates particle tracks from point data stored in text files. Each record has the X-Y coordinates and a data value. The files can be comma-delimited or space-delimited. 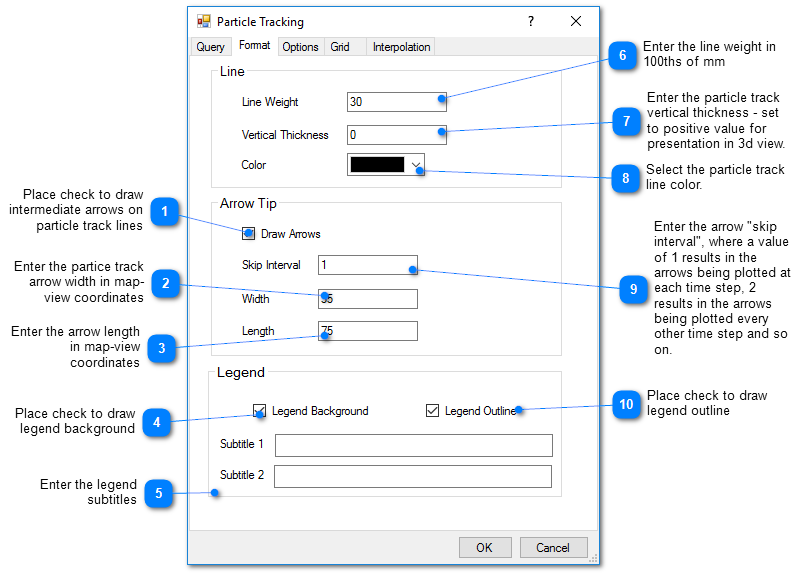 The control options are the same as the particle tracking options used with measured data from a database. To create a particle tracks using external data, click Plot> External Data from the main menu and select Particle Track. 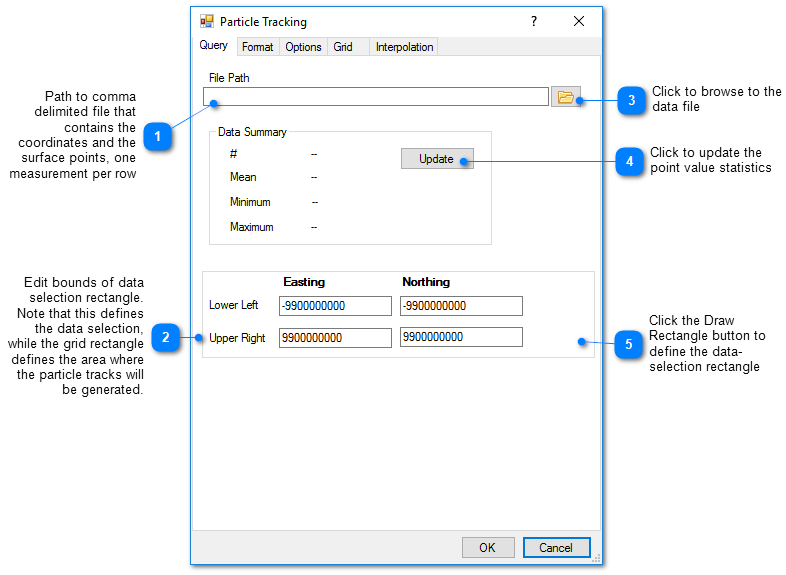 The Particle Tracking dialog box opens. Modify the properties on the Query tab, Format tab, Options tab, Grid tab, and Interpolation tab as desired. Click the OK button to save changes.